It took longer than they had hoped, and arguably longer than they deserved, but after four consecutive grand final losses the Multiplex Bulls have won their maiden AFL Middle East premiership. In the process they brought to an end a Dubai Dragons reign of four consecutive flags. Since joining the league for the 2014/15 season, the Bulls have not missed playing in a grand final, including reaching the big dance in their first season.. However, until today their only silverware was multiple pre-season cup trophies. But after an excellent season which saw just one defeat – by three points – the Bulls knew this was their best chance, and they took it. The Dubai Dragons have made their way into yet another AFL Middle East grand final after downing the Abu Dhabi Falcons at Sevens Stadium on Friday. The club has won six of the past seven premierships and now have a unique chance to add yet another in a golden dynasty. Currently they have four flags in a row and eyes on a fifth after winning their Preliminary Final against the Falcons. 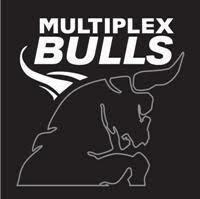 Waiting for them ahead of next week’s Grand Final are the Multiplex Bulls. After four successive premiership defeats they will be a formidable opponent, especially after having enjoyed a week’s extra rest as the Dragons and Falcons battled things out. The Falcons kicked the first goal of the Preliminary Final, getting off to a useful start, however the Dragons kicked five of the next six goals to take an 18-point lead to the first break. The Falcons stayed in touch in the second term, kicking one goal to the Dragon’s two to trail by just over four goals at half time. 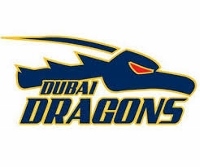 When you take a look at the cold, hard data, the Dubai Dragons will today win through to The AFL Middle East grand final next week against the Multiplex Bulls. Everything points to that result playing out, including logic. Better form, home ground, history, talent – it all adds up to a win for the Dragons. But that is what makes footy so much fun – the unexpected. The two teams have met twice this year, both times seeing a Dragons win. But dig a little deeper under the surface and there are nuggets of information that suggest that the Abu Dhabi Falcons are not out of this race yet. Round 2 at the Zayed Sports City in Abu Dhabi saw the Falcons desperately unlucky to lose to the Dragons by just two points. The Dragons held the lead all day until the Falcons produced a stunning last quarter fightback to nearly take the game. A reproduction of that form today could certainly change a result. The final round of the AFL Middle East 2018/19 season played out almost exactly as many predicted, with the Multiplex Bulls and Dubai Dragons winning their game comfortably to finish one and two. The Abu Dhabi Falcons lost, but still find themselves in the Preliminary Final, whilst the Dubai Dingoes will commence planning for next season. Percentage was going to be the biggest determining factor of the weekend as top spot – and the transit straight to the grand final – would probably go to the biggest winner of the round. Bottom spot was more hinging on massive upsets but nevertheless went down to the final sirens. In the opening match at Sevens Stadium in Dubai, The Dragons got off to the flyer they wanted in very ordinary weather conditions – wet and dusty. A five goal to nil opening stanza immediately chased away any upset result. The Falcons kicked two second quarter goals, but that would be it for them as they went goalless in the second half. Defensively, the game was different. The Dragons still managed to score and increase their lead, but never really cutting loose for a cricket score. On a purely win/loss basis, the final round of the AFL Middle East season won’t have too many surprises. Based on season form (and barring remarkable upsets), the Multiplex Bulls should be too good for the Dubai Dingoes and the Dubai Dragons are unlikely to drop their game against the Abu Dhabi Falcons despite a narrow result last meeting. The devil is in the numbers. If the Dragons absolutely hammer the Falcons, and the Bulls only just get home against the Dingoes, it is possible for the Dragons to grab the minor premiership and avoid an elimination final ahead of a possible grand final. The Bulls hold a 6.5% lead over the Dragons on for and against, and will be keep to retain that and take the minor premiership. The Abu Dhabi Falcons need only put in a serviceable performance in their match and either score an upset win or at least mitigate the scoreboard damage to play finals. What they don’t need is to fall apart at this hurdle and be wiped off Sevens Stadium by a cricket score. The journey isn’t over yet. The Multiplex Bulls’ victory over the Dubai Dragons yesterday does not win them the AFL Middle East premiership. But it goes a long way towards gaining the belief and commitment needed to claim their first flag. Make no mistake, the Dubai Dragons would know that this match was a massive statement. If they won again, the Bulls would sink further into an inferiority complex, doubting their ability to ever beat the Dragons when it mattered. A Bulls’ win was going to set the Bulls into a momentum that might not be stopped. By quarter time, the Dragons were a goal in front. Way too early to pick a winner, but they had played their hand again, inviting the Bulls to play theirs. They did, grabbing the half time lead by three points but knowing a battle still needed to be won. It could turn out to be a season defining moment – or a few moments, really. The clash between the AFL Middle East heavyweights, the Dubai Dragons and the Multiplex Bulls. One team is on track to claim its fifth consecutive flag. The other is out to avoid the indignity of being runners-up for a fifth consecutive season. It may sound harsh, but the time has passed for the Bulls to say they were gallant in defeat. That was true early, and possibly even extended to last season. But gallant isn’t enough now. Years of hard work and sacrifice by many people have to be rewarded with a maiden flag. That is what makes this Friday’s battle in Dubai so important. The Bulls simply must prove that they can defeat the Dragons. They cannot rely on waiting and hoping for a crack on grand final day – it isn’t yet guaranteed they will get that far. The assertiveness that goes with premierships has to start Friday and then extend through the finals series. The dust has barely settled on the fourth round of the AFL Middle East season and already the two grand finalists are as good as confirmed again. The Dubai Dragons and Multiplex Bulls will meet each other again, barring an unforeseeable event of monolithic proportions. The gulf between the top two and bottom two teams has expanded even further. It isn’t as wide as the Great Rift Valley, but it is worryingly enormous. The Dragons and Bulls enjoyed huge wins at the expense of the Dingoes and Falcons, and in so doing have created a two game buffer between second and third place with two games to play. The Dragons cannot miss the grand final, still undefeated after four rounds. The Falcons cannot get there unless they win the preliminary final – winless after four rounds. The only mathematical change is for the Dingoes to defeat the Bulls in the final round by about 28 goals and win next round over the Falcons. Half of that equation is possible. After having enjoyed their winter break, the AFL Middle East teams return to the field on Friday for their Australia Day round. With three rounds remaining, all teams can book a place in finals if they can win all remaining games and it starts Friday at the Dubai Sports City with a double-header. The Multiplex Bulls will meet the Abu Dhabi Falcons whilst the Dubai Dragons play the Dubai Dingoes. The Bulls sit in second place with two wins. Another win against the Falcons will almost certainly ensure them a grand final berth. But it won’t be easy. The Falcons sit on the bottom of the ladder winless, yet have played far better than that position suggests. Should they upset the Bulls it will give them momentum to win all remaining games. The Bulls start favourites, yet the Falcons will be determined to turn their season around.